Michael Denny, Senior Vice President of Sony Interactive Entertainment Worldwide Studios and head of European operations, was recently interviewed by VG247. 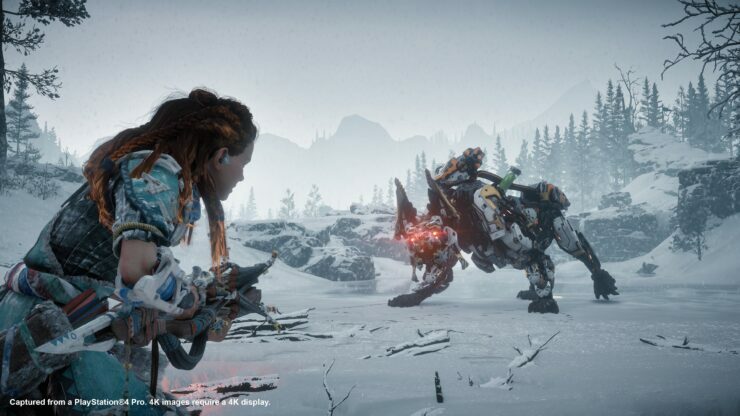 Among various topics, he confirmed that Sony WWS will always back new IPs like Guerrilla’s Horizon: Zero Dawn. Trying anything new is always a big challenge, but I think it’s a challenge that Worldwide Studios always wants to take on. We’ll always want to back it. We see our fans out there always want to see new things. It’s interesting that at this stage in the life cycle we’ve got big new IPs, triple A IPs, to come, with Ghost of Tsushima, and games like Days Gone as well. We’ll always back new IP. But what we’ll say is well, we’re gonna be smart about how we develop those games and make sure we have a strong pre-production process and really prove out the key elements of those games along the way. But doing new IPs and trying to create new genres is something we’ll always back. Worldwide Studios is probably Sony’s biggest asset in the console war against Microsoft’s Xbox, which doesn’t really have a comparable set of internal studios. Worldwide Studios got a history of allowing experimental projects, such as Media Molecule’s Dreams, which we should know a lot more about at PSX 2017. This strategy is working equally great for them and for PlayStation 4 gamers.